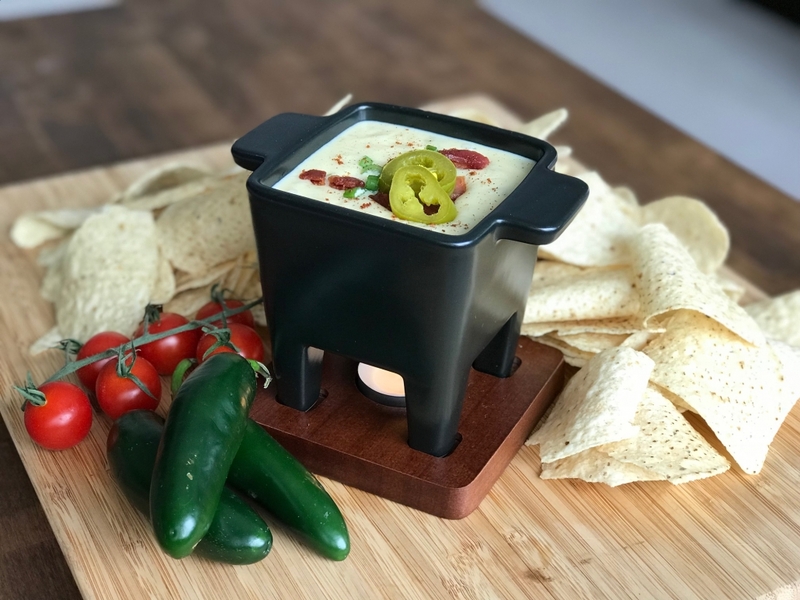 Queso Dip made with our very own high quality processed cheese. In a double boiler over a gentle boil, add the cheese and half of the whole milk. Combine the mixture until cheese begins to melt, add more milk until you get the consistency you desire. Add the diced jalapenos to the cheese mixture. A teaspoon or two of the juice is a nice addition, as well. Stir in salt, cumin, and black pepper. Add red pepper to taste (a little goes a long way). Sprinkle with a dash of chili powder, and serve hot with tortilla chips. Best served in a mini-crockpot to keep it warm.